For a period of a few hours today, blocking someone on Twitter meant they could still see, favourite and retweet your tweets but you wouldn't see any of their interactions. This did not fly. Previously, if you blocked someone on Twitter, your account would appear protected and they would not be able to see your tweets, who you follow or who follows you. Tweeters were very vocal in their dismay at the change to simply hiding abusive users as though they were not there - a "just ignore them" approach - rather than fully blocking them meant that some who have been harrassed on the site did not feel safe. "We have decided to revert the change after receiving feedback from many users - we never want to introduce features at the cost of users feeling less safe," Michael Sippey, VP of product, wrote in a blog post. "Moving forward, we will continue to explore features designed to protect users from abuse and prevent retaliation," he added. One change remains in place, though: you can now choose whether to see @ replies from all or just from people you follow. 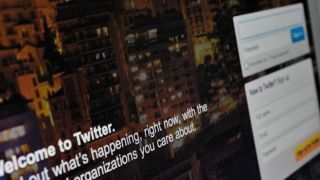 Twitter has struggled to deal with abusive tweeters over the past year, with the issue of rampant abuse from trolls causing the company's UK manager to step down.